The Bastyr University Dietetic Internship is based on the Academy of Nutrition and Dietetics 2017 ACEND Accreditation Standards for Nutrition and Dietetics Internship Programs (DI) and is designed to meet performance requirements for entry-level dietitian nutritionists. The program includes didactic coursework and practical enrichment experiences. The internship provides supervised practice experience in which interns can achieve competency in all required areas of dietetics and nutrition. Up to 12 applicants may be accepted for the program each year. The Bastyr University Dietetic Internship educates future leaders in the dietetic profession by preparing entry-level registered dietitian nutritionists who will integrate whole foods, environmental nutrition, and integrative medicine perspectives into their nutrition practice. The Bastyr University Dietetic Internship will effectively deliver an internship that meets the accreditation standards of the Academy of Nutrition and Dietetics while supporting the mission of the Department of Nutrition & Exercise Science. 1. The Bastyr University Dietetic Internship prepares competent entry-level registered dietitians nutritionists. At least 80% of interns successfully complete the requirements of the Bastyr University Dietetic Internship within 13 months’ time of program start (150% of 38 week program). One hundred percent of program graduates take the CDR credentialing exam for dietitian nutritionists within 12 months of program completion. Of internship graduates who seek employment, at least 85% are employed in nutrition and dietetics or related fields within 12 months of program completion. At least 90% of internship graduates who apply to graduate school/higher education are accepted. Internship graduate employer survey respondents choose the highest rating indicating satisfaction with graduates’ preparedness on at least 90% of entry-level competencies. 2. The Bastyr University Dietetic Internship prepares graduates to provide food and nutrition expertise that effectively supports integrated healthcare, incorporating whole foods, integrative medicine perspectives, and environmental considerations into nutrition care and protocols. At least 90% of internship graduate survey respondents will choose the highest rating indicating entry-level employment preparedness in areas related to whole foods, environmental nutrition practices, and integrative medicine perspectives. In the annual internship graduate employer surveys, respondents will choose the highest rating indicating employment preparedness on at least 85% of professional competencies related specifically to whole foods, environmental nutrition practices, and integrative medicine perspectives. *Program outcomes data, evaluated annually using an average of annual data from the previous three years, is available upon request to the program director. As a program of the Department of Nutrition & Exercise Science, the Bastyr University Dietetic Internship (DI) offers a natural medicine and whole foods concentration. Interns provide integrative care and create wellness plans with natural medicine clinicians at the University's teaching clinic, Bastyr Center for Natural Health. Additionally, interns create whole-food menus, write whole-food nutrition and environmental nutrition blog posts, and lead an educational event on an emergent topic in natural medicine to health professionals. If you would like to visit campus and gain a better understanding of our DI and Bastyr University in general, you are welcome to schedule a visit. Contact Admissions at admissions@bastyr.edu for more information. The Bastyr University Dietetic Internship is accredited by the Accreditation Council for Education in Nutrition and Dietetics (ACEND), 120 S. Riverside Plaza, Suite 2190, Chicago, IL 60606-6995. Bastyr University is accredited by The Northwest Commission on Colleges and Universities (NWCCU). The Dietetic Internship is a full-time program consisting of a minimum of 38 weeks including breaks. Included are opportunities to achieve a minimum of 1,200 supervised practice hours. The program includes 15 graduate credits, a portion of which may be applied toward a master of science degree in nutrition from Bastyr University upon acceptance into the master's program. The graduate course content is structured to complement the supervised practice components of the internship. Interns meet weekly for seminar-style classes in fall and winter quarters for the didactic portion of the program. Additional hours beyond the full-time scheduled program are required for project completion and self-preparation, some of which are supervised practice hours. Interns gain experience in clinical dietetics, community nutrition and food service systems and management. Interns develop insight into the special nutritional needs of populations by rotating through a variety of sites which may include hospitals, community nutrition programs including WIC, outpatient clinics, and food service facilities. The rotations are designed to give interns the opportunity to work with individuals from all stages of life, with varying health conditions. In addition to the regular rotations, interns coordinate Enrichment rotations to accommodate individual areas of interest and learning needs. Interns may expect the following timeframe of didactic and supervised practice experiences. The dietetic internship begins on the first day of the regular academic calendar, which is September 26, 2019. The program ends on the last day of finals week of spring quarter, which is the third Friday of June unless otherwise noted. Within those dates the internship follows its own schedule that varies from the regular academic calendar. Two weeks of winter vacation are scheduled at the end of December/early January, and one week of spring vacation that may fall in any month from February through May is arranged with each intern. 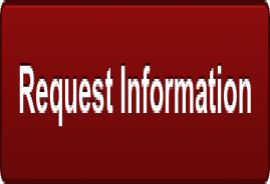 Contact the program director for exact dates for a particular program year. The following holidays are observed within the internship, based upon university policy: Thanksgiving and the following day; Martin Luther King Day; Presidents' Day; Memorial Day. Meet eligibility requirements to write the registration examination to become a registered dietitian nutritionist (RDN) and subsequently will be eligible to apply to become a certified dietitian (CD) in the state of Washington (Accepted interns will receive further information about these processes in the program). Demonstrate all the competencies required to practice as a competent entry-level dietitian nutritionist. Provide exceptional nutrition and dietetic practice to individuals and institutions that effectively supports integrated healthcare, incorporating whole foods, integrative medicine perspectives, and environmental considerations into nutrition care and protocols. Achievement of a well-defined competence in all internship graduate classes, as evidenced by achieving a grade of AC in each class. Achievement of all program learning activities and performance criteria of each rotation, as evidenced by preceptor assessment on Intern performance evaluations. Achievement of a minimum score of 75% on the final exit exam. Evaluations occur at the end of each rotation, and evaluation conferences are required with the program director at the end of each academic quarter. Interns accepted into the program will receive program information the summer prior to the program start. This will include the most recent version of the Bastyr University Dietetic Internship Handbook which houses program policies and procedures. Upon program start, interns in the program will have access to an e-learning portal where all relevant program information and tools are available to them. 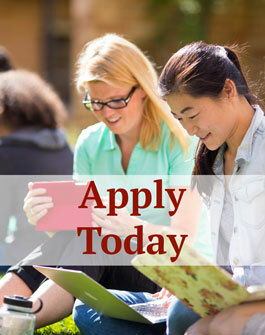 Applicants must have a verification statement from an ACEND-accredited Nutrition and Dietetics Didactic Program (DPD) or Foreign Dietitian Education program (FDE) and must have earned at least a bachelor’s degree in nutrition, dietetics or an equivalent program granted by a U.S. regionally accredited college/university or foreign equivalent. This is considered the first step towards becoming a Registered Dietitian Nutritionist (RDN). Applicants applying to this ACEND-accredited dietetic internship program will be completing the supervised practice step toward achieving the Registered Dietitian Nutritionist (RDN) credential. Following successful completion of this internship, internship graduates will be eligible to sit for the credentialing examination, the requirements of which are established by the Commission on Dietetic Registration (CDR). Passing that exam results in the ability to use the RDN credential. Maintaining the RDN credential requires ongoing professional development. Each state in which an RDN practices will have its own scope of practice and requirements for obtaining certification or licensure. In the state of Washington, RDNs apply to become Certified Dietitians (CDs) with the Washington State Department of Health. Requirements for this certification include having the RDN credential, holding a degree in nutrition, and completing an approved HIV-training course. Information and an application packet for certification in the State of Washington can be found here. To be a competitive candidate for this program, a strong background in science and high academic performance are essential. Using a 4.0 scale, a GPA of 3.0 or higher is required for acceptance into the program. Experience, whether volunteer or paid, in clinical nutrition (hospital or long-term patient care), quantity food service and community nutrition is highly desirable. Finalist candidates will be evaluated in a telephone interview. The Bastyr University Dietetic Internship participates in the spring computer matching application process. Applicants to the internship must submit their application materials through Dietetic Internship Centralized Application Services (DICAS) by the February 15, 2019 11:50 pm Central Time deadline established by The Academy of Nutrition and Dietetics. Fees associated with this centralized application process are $45 for the first application, and $20 for each additional application. All portions of the DICAS application are expected to be completed or uploaded in order for the applicant to be considered for the program. For the recommendation letters, it is preferred that two be from academic references and one be a work or volunteer supervisor professional reference. In addition, a supplemental Bastyr University application for certificate and non-degree programs is required for the Bastyr University Dietetic Internship, along with a $75 application fee. Click here to fill out the Bastyr University application. This supplemental application is also due no later than February 15, 2019, 11:59 pm Central Time. Applicants to the internship must participate in computer matching. Applicants must register and enter their priority choices online on the D&D Digital website by the February 15, 2019 11:59 pm Central Time Zone Academy of Nutrition and Dietetics deadline. At the time of registration, a $55 registration fee via credit card is required. Applicants who have registered for the match by February, 15, 2019 can reorder their internship priority rankings up to 11:59 pm Central Time on April 1, 2019. Applicant matching results will be posted on www.dnddigital.com from 6:00 pm Central Time, April 7, 2019 through April 8, 2019. Matched applicants must contact the DI Program by 6:00 pm (time zone of the program), Monday, April 8, 2019 to confirm acceptance of the match. This total dollar amount includes: $831/credit for 15 graduate credits for 2018-2019. Interns are billed for three installments of $4,155 the first day of each quarter. The intern is responsible for all food, housing, and transportation expenses. Interns must provide their own health insurance and automobile insurance to participate in the program. Food, housing, and transportation expenses for the greater Seattle area are estimated at $21,600 for the nine-month academic year. *Miscellaneous fees are most often related to unique rotation site onboarding requirements that may include additional immunizations, drug testing, and/or trainings. Because the Bastyr University Dietetic Internship is not a degree program, interns are not eligible for the typical financial-aid programs available to university students. Interns are encouraged to apply for a variety of scholarships available at federal, state and local levels, including The Academy Foundation Scholarships and others. Bastyr University scholarship information is made available to interns upon acceptance. Information about state and local scholarships is provided to interns in the program as they are received by the program director. Interns are generally eligible for student loan deferment and the program director will complete any required forms to support this deferment process.